Matt and Mark Hill are The Floozies and they are owning the world of Future Funk. 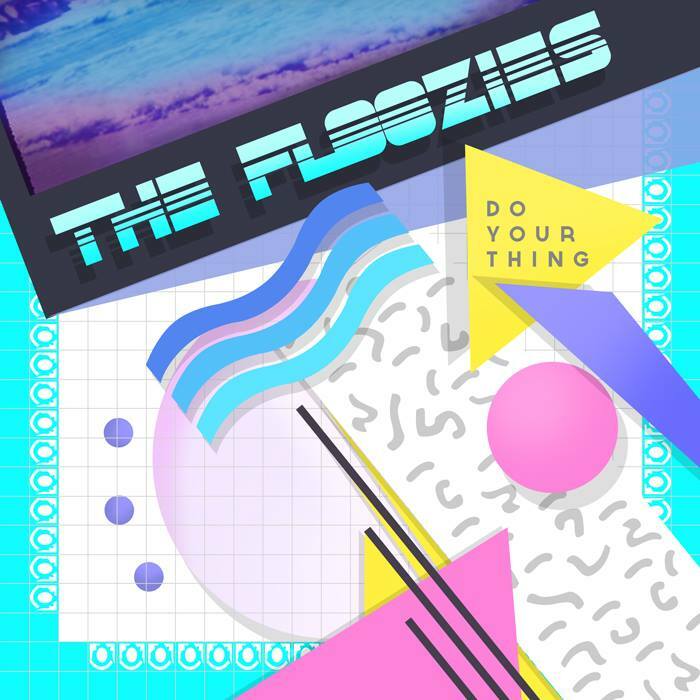 Last Tuesday The Floozies released their new album, an 11-song effort called Do Your Thing, on GRiZ’s All Good Records. GRiZ is no stranger to the world of Future Funk and if it’s good for him it’s good for the rest of us. The album is full of feel-good funk jams with an Electro twist and it’s something I’ve been listening to since last week thanks to the free download and album stream on SoundCloud. “Do Your Thing creates the ambiance of classic funk with elements of synth, guitar, drums, and a talk box grooves. The LP comes at the end of a massive 2014 that saw The Floozies as staples on the North American festival circuit and performing sold out shows at Denver’s Red Rocks Amphitheatre,” writes Jordan at All Good Records. My good friend Libby discovered The Floozies around the same time I did and she’s extremely excited to see them perform in San Francisco this weekend. Coupled with Libby’s excitement for the show is her enjoyment of the new album, which she’ll tell you about below. When MMIBTY co-founder Jon Gilman told me the Floozies’ new album was finally out, I was chomping at the bit. I first saw the electro funk duo last summer at the Northern Nights Music Festival where they put on one of the best sets of the weekend, so my expectations were high. The duo didn’t disappoint. Do Your Thing opens with “Fantastic Love”, a funky groove with 1980’s rap samples throughout that set the tone for the rest of the album. The upbeat, dance-in-your-chair, funk through and through is the theme for the first five songs; my personal favorite is the snarky “She Aint Your Girlfriend” with its catchy chorus and solid EDM builds. Track six, “Make a Mixer” slows things down to a loungey, mellow vibe that offers something of a break before “Fnktrp” picks things back up, including an unexpected slight tip of the hat to Hozier’s “Take Me to Church” and complex guitar/bass rifts. Despite the tongue-in-cheek humored lyrics, “Lady Player” is, in my opinion, fairly forgettable. I zoned out while listening to it. The following track, however, is an absolute party. “Jambox”’s mix of EDM buildups and intricate instrumentals is funky, fun, and easily one of my favorite tracks on the album. “Like Butter” (with a Notorious B.I.G. “Juicy” sample!) is a mellow groove that perfectly leads into the title track “Do Your Thing”, a perfect ending to this fun, groovy album with nice melodies and a strolling beat. This album makes me want to find out what festival these guys will be playing next (Sweetwater 420 Fest in Georgia and Joshua Tree in May for you Californians) and where I can get tickets. For 2015, The Floozies are already kicking things off on the road, embarking on their nation-wide headlining tour through March and now supporting GRiZ on his “Say It Loud” world tour. Next ArticleCelebrate 10 Years of Dirtybird! Griz Drops His Sophomore Album ‘Rebel Era’ For Free!